"Meat is the most delicious part of a Kashmiri pandit's meal,” says eminent writer Nayantara Sahgal. 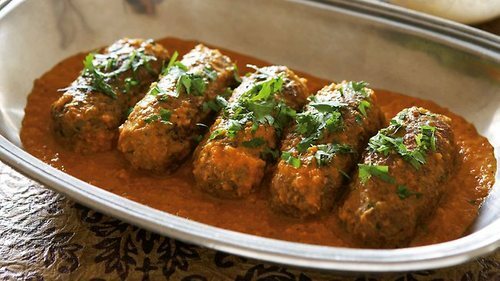 We begin our series Indian Memories of Meat with a recipe for Kashmiri mutton kofta. 1. Blend the keema, yogurt and mustard oil. 2. Add to it dhania and jeera powder, hing, garam masala and salt. 3. Make the mixture into sausage shapes. 4. Fry on low flame in ghee till they turn red. 5. Add about half-"ser" water and cook, leaving a little liquid for gravy. Note: Basic Kashmiri garam masala proportions: 1 pao big elachi, half-pao jeera and quarter-pao cloves. All ground and mixed.